Posted on 20th April 2015 at 10:04 am. School leavers and budding hair stylists, Halo Hair and Beauty is recruiting! We’re always on the look out for the very best hairdressing talent to join our team. 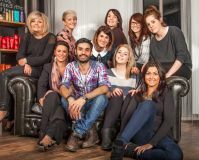 If you’re passionate about hairdressing and strive to be the best, then Halo could be the place for you. We believe hairdressing isn’t just a job, it’s a career that can offer so many amazing opportunities. All trainees will receive a personalised training program that will help you progress within our award winning team. If you’re a 16-18 year old looking for a career in the hairdressing industry please contact us by sending your CV to josephferraro[at]hahaha.co.uk or come in and see us in the salon. Posted on 14th April 2015 at 10:31 am. 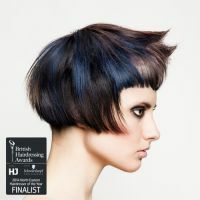 The team at Halo have successfully made it through to the finals for Regional Salon for HAIR Magazine’s Award The Cut. The Cut celebrates the best the industry has to offer with categories including Salon Stylist, Colour Expert, Regional Salon and many more. The Regional Salon category divides up into North, South, East, West and Midlands with Halo being shortlisted for the North. The winning criterion requires the salon to be a hub of creativity in its area, with a high reputation and a legion of loyal clientele. The salon will also have a dedicated team with original ideas, an amazing environment and an edge that makes them stand out from the crowd. Finalists in all categories will be judged in part by mystery shoppers chosen from a panel of HAIR Magazine readers. Previous winners have used their award to drive brand awareness and sales. Posted on 27th March 2015 at 10:39 am. We are pleased to announce that we have chosen to enter salon owner Joseph for the 2015 Harrogate Advisor Business Awards in the Business Personality of the Year category. This award recognizes individuals who have made an outstanding contribution to their own company through innovation, entrepreneurship, vision and leadership. As well as this, they need to be focused on results and successes and show real dynamism and flair. In Joseph’s case we believe him to be a worthwhile contender. The awards ceremony will be held at The Majestic Hotel, Thursday 30th April. Fingers crossed for Joseph! Posted on 25th March 2015 at 10:45 am. 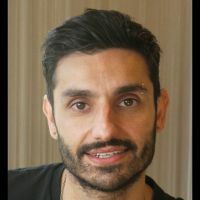 We are proud to announce our expert colourist Joey Ferraro has been featured in Coloursoft Magazine! The feature titled ‘Color Procedure’ includes a step-by-step guide to Joey’s creation – a deep violet hair shade with petrol blue and green undertones running through. Joey says: “I was inspired by 80s glam rock and the colour enhanced the the versatile structure and strong lines of cut.” The feature also includes a stylized video to demonstrate each part of the process which can be viewed interactively on the Coloursoft Magazine website www.coloursoftmagazine.net . To book yourself in for a complimentary colour consultation with one of the industry’s finest call 01423 524787. Posted on 16th March 2015 at 10:48 am.